NEW GENUINE OEM WALBRO CARBURETOR KIT. PART # K10-WAT. USED ON MANY WA & WT CARBURETORS. Briggs & Stratton Diamond Dealer. WALBRO Most WA and WT carburetors. WALBRO: K20-WAT. Carburetor Kit. Always reference the part number for the item that you are replacing. This will insure order accuracy. Not compatible with greater than 10% ethanol fuel. TB21EC TB22EC TB32EC TB42BC TB80EC. Replace OE part #: 753-06190, 753-05133, 753-04333, 791-182875, 791-182062, Walbro WT-973. Y2550EC (Item Number: 41AD25SC900). Y2500 (Item Number: 1BD25CC900). M2510 (Item Number: 41ADZ03C758). Brand New Genuine Walbro Carburetor Repair Kit.. We are an Authorized Walbro Dealer... Carburetor Repair Kit Genuine Walbro Part # K1-WHG Fits Specific Walbro WHG Model Series Carburetors Genuine OEM Walbro Kit. AND SCREW INTO FUEL TANK. PLUGGING UP YOUR FUEL PASSAGE IN THE TANK. FUEL TANK BECAUSE. A FUEL FILTER IS USELESS IF YOUR SCREEN IS MISSING FROM YOUR. TANK STOPPING THE. JUST DIE, IT COULD BE FROM NOT HAVING ONE OF THESE IN THE TANK. Genuine, OEM Walbro, part# K3-WYTA. Genuine, OEM Walbro parts. Genuine OEM. PRODUCT DETAILS. Why replace it when you can fix it?. Save Money. Experts are standing by to help you. Here to Help. Brand New Genuine Walbro Carburetor Repair Kit.. We are an Authorized Walbro Dealer... Carburetor Repair Kit Genuine Walbro Part # K10-LMK Fits Specific Walbro LMK Model Series Carburetors Genuine OEM Walbro Kit. Genuine, OEM Walbro repair kit, part# K1-LMH. Genuine, OEM Walbro parts. (1) Repair Kit. Why replace it when you can fix it?. Genuine OEM. Need more parts?. Here to Help. Experts are standing by to help you. 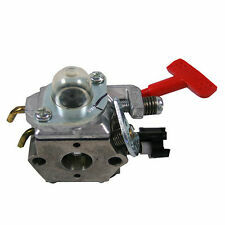 New Carburetor For Briggs & Stratton Walbro LMT 5-4993 With Mounting Gasket. Briggs & Stratton Walbro LMT 5-4993. 734463213805DN, LMT 5-4993. Replace Briggs & Stratton Part # 1 x Carburetor. One Year Warranty. FITS SPECIFIC WA & WT WALBRO CARBURETORS. NEW GENUINE OEM WALBRO CARBURETOR KIT. PART # K20-WAT. Briggs & Stratton Diamond Dealer. Genuine OEM Replacement Part # D12-WG Consult owners manual for proper part number identification and proper installation Please refer to list for compatibility . Fits Models: FH451V, FH500V, FH531V, FH541V, FH580V, FH601V, FH680V, FH721D, FH721V, FH770D, FX751V, FX801V & FX850V. John Deere: AM116304, AM1163041, GY20709. Kohler: 25 050 03-S, 25 050 08-S, 25 050 22-S, 25 050 22-S1. John Deere: Bunker rakes, greensmowers, ZTraks, front mowers, riders, walk behinds, skid steer loaders, lawn tractors and Gators, gas, 4x2 and 6x4. Fits Models: GC135, GC160, GC160A, GC160LA, GC160LE, GC190A, GC190LA, GCV520U, GCV530, GCV530U, GS160LA, GS190LA, GX610K1, GX610R1, GX610U1, GX620K1, GX620R1, GX620U1, GX670, GX670R, GX670U, GXV530, GXV530U, GXV610K1, GXV610R1, GXV610U1, GXV620K1, GXV620R1, GXV620U1, GXV670, GXV670R, GXV670U, EB11000K1, EN2000 and EN2500. 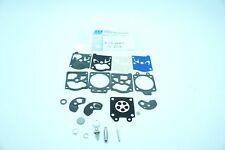 OEM WALBRO K10-WAT, CARBURETOR REBUILD KIT FITS MOST WA & WT CARBS. WALBRO FITS MOST WA & WT SERIES CARBS. 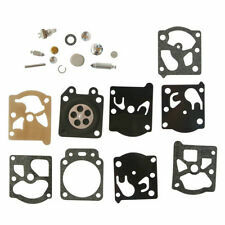 Walbro K10-WAT D10-WAT Compatible Rebuild Kit WA & WT Carb Echo 123100-16330. 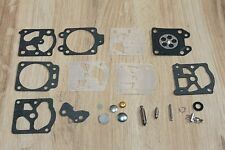 Genuine, OEM Walbro rebuild kit, part# K2-WYLA. Genuine, OEM Walbro parts. (1) Rebuild Kit. Genuine OEM. PRODUCT DETAILS. Why replace it when you can fix it?. Save Money. Experts are standing by to help you. 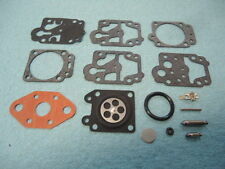 NEW GENUINE OEM WALBRO CARBURETOR REPAIR KIT. USED ON SDC SERIES CARBURETORS. PART # K10-SDC. ECHO 12318140630. WALBRO 188-12. WALBRO 188-12-1. WALBRO 188-14. WALBRO 188-14-1. Walbro Fits: WA / WT / WY / WYJ / WYK / WYL / WYP AND WZ Carburetors. SET WITH 5 PIECES. MCCULLOCH 225834-00. Walbro Carb Part Number WA-229-1. Brand New Genuine Walbro Carburetor Repair Kit.. We are an Authorized Walbro Dealer... Carburetor Repair Kit Genuine Walbro Part # K10-WAT Fits Specific Walbro WA & WT Model Series Carburetors Genuine OEM Walbro Kit. Genuine Walbro Fuel Pump For Briggs Stratton, Cub Cadet, Husqvarna, Toro, Kohler, John Deere, Exmark Etc. 150cc-200cc Paramotor Engine Model Airplane. GENUINE Walbro Carburetor. Carburetor kit available for this carburetor! Brand New (10) Pack of Genuine Walbro Carburetor Screens... We are an Authorized Walbro Dealer... Carburetor Screen 10 Pack Genuine Walbro Part # 140-70-8 5/16" Diameter For All Model Walbro Carburetors Genuine OEM Walbro Part. (A) Carburetor OEM GENUINE WALBRO. 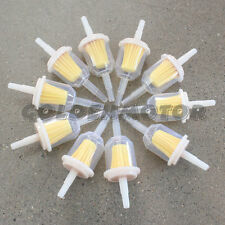 Brand New Genuine Walbro Welch Plug (10) Pack... We are an Authorized Walbro Dealer... Welch Plug (10) Pack Genuine Walbro Part # 88-171-8 Fits Specific Walbro Carburetors Genuine OEM Walbro Part. Genuine Walbro K1-PUMP Impulse Fuel Pump Kit. 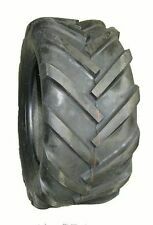 Replaces: Walbro 300-691 & Tecumseh 33010 kit. Brand New (10) Pack of Genuine Walbro Metering Carburetor Diaphragm Gaskets... We are an Authorized Walbro Dealer... Carburetor Metering Diaphragm Gasket 10 Pack Genuine Walbro Part # 92-251-8 Fits Specific Walbro WA, WT, WTA, WY, WYJ, WYK, WYL, WYM, WYP & WZ Model Carburetors Genuine OEM Walbro Part. Service carburetor no throttle shaft have to use your old one in new carb. Service carburetor. Professional grade parts at wholesale pricing. Genuine OEM. Bluetooth headset. Part # 15004-0823. Chain Tighteners. HH80, HH100 AND HH120 TECUMSEH CAST IRON ENGINES. 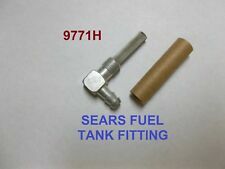 FUEL LINE, FUEL FILTER AND CARBURETOR FITTING ADAPTER FOR 34.99. LAST PICTURE IS ONLY TO SHOW YOU THE PUMP THAT THIS ONE REPLACES. WE ALSO HAVE THIS IN THE COMPLETE SWITCH OVER KIT THAT INCLUDES THE. Replaces Walbro Part # 95-526-9-8, 95-526-9, 95-526. FITS WALBRO HDC SERIES CARBURETORS. PART # K10-HDC. Trending at $9.85eBay determines this price through a machine learned model of the product's sale prices within the last 90 days. 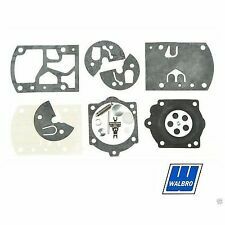 Brand New Genuine Walbro Carburetor Repair Kit.. We are an Authorized Walbro Dealer... Carburetor Repair/Rebuild Kit Genuine Walbro Part # K1-LMF Fits Specific Walbro LMF Float Type Carburetors Genuine OEM Walbro Kit. 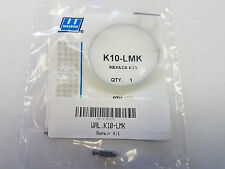 Genuine, OEM Walbro, part# K10-LMJ. Genuine, OEM Walbro parts. Genuine OEM. PRODUCT DETAILS. Why replace it when you can fix it?. Save Money. Experts are standing by to help you. Here to Help. Genuine Walbro Fuel Pump Fits Kawasaki FH601V, FH641V, FH661V, FH680V, FH721V. 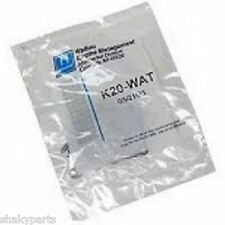 Genuine, OEM Walbro repair kit, part# K1-WYLA. Genuine, OEM Walbro parts. (1) Repair Kit. Why replace it when you can fix it?. Genuine OEM. Need more parts?. Here to Help. Experts are standing by to help you. This bulb is used on Tanaka ECS-290 chainsaws, and TBL500 blowers and Red Max HB260. 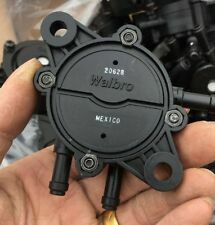 This is used with the following Walbro carburetor models: HDA-51, WA-180, WA-181, WA-185, WA-187, WA-194, WT-50, WT-138, WT-145, WT-184, and WT-243. Fits: 1/4" Fuel line, Vacuum type. Brand New Genuine Walbro Carburetor Repair Kit.. We are an Authorized Walbro Dealer... Carburetor Repair Kit Genuine Walbro Part # K23-WYK Fits Specific Walbro WYK Model Series Carburetors Genuine OEM Walbro Kit. GENUINE Walbro Carburetor. Replaces Walbro WYA-32-1. 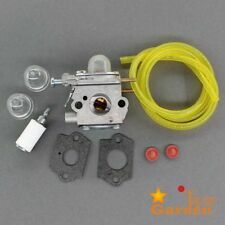 Genuine Walbro K1-PUMP Impulse Fuel Pump Kit. Walbro Fuel Pump ForExmark Deere, Cub Cadet. Fits: 1/4" Fuel line. of your item or changed your mind about it, simply just send it back unused within. Fits: 1/4" Fuel line, Vacuum type. 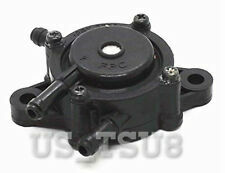 Fits Models:28B702, 28B707, 28M707, 28N707, 28P777, 28Q777, 351442 & 351447. WALBRO CARBURETOR OEM HDA-110 NEW. NOT AN OFF SHORE WILL FIT!